An op-ed published today in The New York Times repeats a number of well-worn claims about Iranian President Mahmoud Ahmadinejad. Written by the Brookings Institute's Saban Center senior fellow Suzanne Maloney and Council on Foreign Relations senior fellow Ray Takeyh, the article, entitled "Ahmadinejad's Fall, America's Loss," attempts to argue that "the prospect of a nuclear deal between Tehran and Washington is diminishing" due to the recent political infighting between the Iranian President and the country's clerical leadership. Unsurprisingly, the op-ed is suffused with the usual boilerplate Western narratives about Ahmadinejad, and even Iran in general. The fellows write that he has "dabbled in Holocaust denial" and that, in June 2009, the conservative Iranian government conspired in "rigging the system to ensure his re-election." Neither of these allegations stand up to serious scrutiny. Maloney and Takeyh, who openly call for sanctioning Iran's legal and IAEA-supervised nuclear energy program as well as supporting Iran's minuscule and unrepresentative "Green" movement, also write that Ahmadinejad, "by deftly exploiting nationalist impulses and economic grievances" has "used every opportunity to build a power base and assert his influence." That description of the Iranian President could also be used to describe literally every single American President since the nation's founding, nearly every single member of the United States Congress, Democrats and Republicans alike, as well as the vast majority of local officials. So, in other words, they're asserting that Ahmadinejad is indeed a politician. Good to know. "Mr. Ahmadinejad’s interest in dialogue was not motivated by any appreciation of American civilization or an impulse to reconcile. Rather, the provocative president saw talks as a means of boosting his stature at home and abroad while touting his vision of a strong nuclear-armed Iran." Firstly, why would anyone expect (or even hope) that an elected executive of one country would make decisions based on a personal "appreciation" of another country's "civilization"? This would seem to be an irresponsible and inappropriate basis for engagement and diplomacy. Is the United States providing Saudi Arabia with $60 billion worth of weaponry and military equipment because of its admiration of Saudi civilization? Are the P5+1 negotiating with Iran due to their collective affection for Persian civilization and its myriad cultural contributions like establishing the world's first postal service, inventing architectural innovations like the flying buttress and the squinch and dome, and introducing the world to decimal fractions, almanacs, astrolabes, windmills, paisley, and polo? Doubtful. Far more important - outrageous, even - is the contention, stated as indisputable fact by Maloney and Takeyh, that Ahmadinejad is bold, brash, and boastful in his outspoken intention to create a "nuclear-armed Iran." 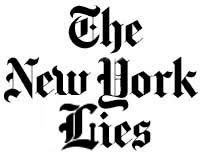 Naturally, no evidence is provided by the authors to bolster this allegation, yet the New York Times printed it without hesitation. Put simply, the claim is unsupported by all available facts. Quite the contrary, Ahmadinejad has consistently condemned the acquisition of nuclear weapons and has repeatedly called upon the international community to dismantle all nuclear arsenals and support the establishment of a nuclear weapons-free zone in the Middle East. This is not about parsing Iranian intentions or scrutinizing IAEA reports, Israeli accusations, or N.I.E. assessments. It is not even about identifying the absurd neoconservative fear-mongering which litters the article with warnings about Iran's "nefarious activities" and how an "increasingly confident and aggressive" Islamic Republic would be "unlikely to accept meaningful limitations on its nuclear ambitions or sever its ties to militant groups like Hamas and Hezbollah." It is not about agreeing with Ahmadinejad's political policies, personal beliefs, or rhetorical style. No, this is about claiming that the Iranian President has openly declared ("touting his vision") that he seeks "a nuclear-armed Iran," as written by two senior fellows at influential think tanks and published by the newspaper of record. This claim, as written and printed, is not true. In fact, it is pretty much exactly the opposite of what the well-documented truth is. Ahmadinejad, speaking in August 2006, declared, "Nuclear weapons have no place in Iran's defense doctrine and Iran is not a threat to any country...We are not a threat to anybody; even our solution to the Zionist regime is a referendum." In the same speech, he said, "the Iranian nation has always resolutely resisted bullying. The Iranian nation will never exchange its dignity and nobility for anything. However, some oppressor countries can not believe that a nation can be powerful and peaceful at the same time. They can not imagine that a nation can possess nuclear technology with no nuclear weapons. They just come to the wrong conclusions through wrong analyses." In a lengthy interview with CBS's Mike Wallace for 60 Minutes, Ahmadinejad explained, "Basically we are not looking for - working for the bomb...The time of the bomb is in the past. It's behind us. Today is the era of thoughts, dialogue and cultural exchanges." The next month, Ahmadinejad was asked by NBC's Brian Williams about whether the Iranian nuclear program was peaceful. He replied, "Did Iran build the atomic bomb and use it? You must know that, because of our beliefs and our religion, we're against such acts. We are against the atomic bomb." "It is a firm 'no.' I'm going to be much firmer now. I want to address all politicians around the world, statesmen. Any party who uses national revenues to make a bomb, a nuclear bomb, will make a mistake. Because in political relations right now, the nuclear bomb is of no use. If it was useful, it would have prevented the downfall of the Soviet Union. If it was useful, it would have resolved the problems the Americans have in Iraq. The U.S. has tested new generations of bombs, many thousands of warheads you have in your arsenals. It's of no use. And also the Zionist entity, they have hundreds of warheads. It's not going to help them. The time of the bomb is past. The parties who think that by using the bomb you can control others, they are wrong. Today we are living in the era of intellectual pursuits. You should spend your money on your people. We don't need the bomb. For 28 years we have defended ourselves in the face of enemy onslaught. Every day we are becoming more powerful. And, again, we don't need such weapons. In fact, we think that this is inhuman." A few days later, when interviewed by Charlie Rose, Ahmadinejad repeated himself, adding, "We've said many times before, we don't need the weapon. It's not enshrined in our defense doctrine, nuclear defense. And ideologically, we don't believe in it either. We have actually rejected it on an ideological basis. And politically, we know that it is useless." "Making nuclear, chemical and biological bombs and weapons of mass destruction is yet another result of the misuse of science and research by the big powers. Without cooperation of certain scientists and scholars, we would not have witnessed production of different nuclear, chemical and biological weapons. Are these weapons to protect global security? What can a perpetual nuclear umbrella threat achieve for the sake of humanity? If nuclear war wages between nuclear powers, what human catastrophe will take place? Today we can see the nuclear effects in even new generations of Nagasaki and Hiroshima residents which might be witness in even the next generations to come. Presently, effects of the depleted uranium used in weapons since the beginning of the war in Iraq can be examined and investigated." In a response to a question from an audience member at Columbia, he reiterated, "We do not believe in nuclear weapons, period. It goes against the whole grain of humanity...I think the politicians who are after atomic bombs or are testing them, making them -- politically they are backward, retarded." Speaking to Charlie Rose in Tehran on August 22, 2008, Ahmadinejad stressed, "We want nuclear disarmament [for all countries]...and we consider it to be against humanity to manufacture nuclear weapons...we oppose that strongly," continuing, "Our position is very clear. You can not solve the problem of a nuclear bomb with another nuclear bomb. The solution should be humanitarian and political and cultural...We believe that a nuclear weapon has no use, obsolete. Anyone who has a nuclear weapons does not create any political advantage for themselves." The following month, on September 23, 2008, Ahmadinejad told Larry King, "We believe, as a matter of religious teaching, that we must be against any form of weapons of mass destruction, including nuclear weapons. The production and the usage of nuclear weapons is one of the most abhorrent acts to our eyes." He also said, "In addition, we also believe that the atomic bomb has lost its use in political affairs, in fact. The time for a nuclear bomb has ended. Whoever who invests in it is going the wrong way." The same day, during an interview with NPR's Steve Inskeep, Ahmadinejad insisted that Iran was "a country that is simply seeking peaceful nuclear energy" and not nuclear weapons. "I think that the time for the atomic bomb has reached an end. Don't you feel that yourself? What will determine the future is culture, it's the power of thought. Was the atomic bomb able to save the former Soviet Union from collapsing? Was it able to give victory to the Zionist regime of confronting the Palestinians? Was it able to resolve America's or US problems in Iraq and Afghanistan? Naturally, its usage has come to an end. "It's very wrong to spend people's money building new atomic bombs. This money should be spent on creating welfare, prosperity, health, education, employment, and as aid that should be distributed among others' countries, to destroy the reasons for war and for insecurity and terrorism. Rest assured, whoever who seeks to have atomic bombs more and more is just politically backward. And those who have these arsenals and are busy making new generations of those bombs are even more backward." While in Copenhagen in December 2009, Ahmadinejad told the press, "If we want to make a bomb we would not be afraid of the United States...but we do not want to make a bomb," adding, "Our policy is transparent. If we wanted to make a bomb we would be brave enough to say so. When we say that we are not making one, we are not. We do not believe in it." Speaking at the United Nations NPT Review Conference in May 2010, he stated, "The nuclear bomb is a fire against humanity rather than a weapon for defense," continuing, "The possession of nuclear bombs is not a source of pride; it is rather disgusting and shameful. And even more shameful is the threat to use or to use such weapons, which is not even comparable to any crime committed throughout the history." "Let me just set your mind -- I want to give your mind some rest here. We are opposed to the bomb, the nuclear bomb, and we will not build it. If we want to build it, we have the guts to say it. We're courageous enough to say it, because we're not afraid of anyone. If we want to have the bomb, we'll come and tell everyone we want to build it. We're not afraid of anyone if we want to make it. Who's there to be afraid of? So when we say we don't want it, we don't want it." Addressing the U.N. General Assembly in September 2010, he repeated, "The nuclear bomb is the worst inhumane weapon and which must totally be eliminated" and proposed "that the year 2011 be proclaimed the year of nuclear disarmament," reaffirming Iran's commitment to establishing a Nuclear Weapons-Free Zone in the Middle East. During the same visit, Ahmadinejad told Larry King, "We are not seeking the bomb. We have no interest in it. And we do not think that it is useful. We are standing firm over the issue that both the Zionist regime and the United States government should be disarmed." Just yesterday, the day before the New York Times op-ed was published, Russia Today reported that during a meeting between Ahmadinejad, Kazakh President Nursultan Nazarbayev and Russian President Dmitry Medvedev on the sidelines of the Shanghai Cooperation Organization's 10th annual summit in Astana, "[t]he Iranian President has once again declared unequivocally that his country has no intention of possessing a nuclear weapon." According to the Interfax news agency, Russian Foreign Minister Sergey Lavrov told journalists after the talks that, according to Ahmadinejad, "this will be Iran's official firm and invariable position in all practical affairs." These are the facts, inconvenient as they may be for warmongering Beltway think tankers. Perhaps most shocking about the statement made in the New York Times op-ed is that, in 2008, co-author Suzanne Maloney herself noted that "the Iranian government is on the record across the board as saying it does not want a nuclear weapon." While she added that "there's plenty of room for skepticism about these assertions," she stressed the importance of not exaggerating or making false claims. Whether Ms. Maloney has, in the past three years, reevaluated her previous assessment on this matter or has obtained evidence that Ahmadinejad himself has since made a declaration about a newly-acquired impulse to build nuclear weapons remains unclear. What is clear, unfortunately, is that neither Maloney nor her consistently propagandistic writing partner Ray Takeyh seem to be too concerned with presenting the truth in their own analysis. Where have all The Grey Lady's fact-checkers gone? UPDATE: One could argue that, as an Opinion/Editorial piece, the Maloney-Takeyh article should not be subject to the same scrutiny and fact-checking as New York Times "news" reports. True, journalism and commentary are indeed different. This is not presented as opinion, it is stated as uncontroversial truth when nothing could be further from it. As such, The New York Times should be obligated to fact-check its "expert" commentators before publishing their articles. Would the paper print an op-ed that, in passing, mentioned Dr. Martin Luther King, Jr.'s penchant for preaching violent uprisings against Whitey as a means of achieving his oft-repeated goal of subjugating all non-black people in the United States (and beyond) to second-class citizenship and oppressive segregation and discrimination? What about a piece on Adolph Hitler's well-known "touting of his vision" of a strong, demilitarized Germany wherein all people - Christians, Jews, Muslims, atheists, Roma, Communists, homosexuals, and unionized laborers - all shared equal rights and equal opportunities? Or Benjamin Netanyahu's consistent call for a single, binational, multiethnic, fully representative democracy within the borders of historic Palestine, in which international and humanitarian law is respected and equal human rights for all is required? Chances are these op-eds wouldn't make the cut. But making stuff up about the President of Iran? Sure, go ahead! "The countries that are capable of enriching uranium can produce uranium at any percentage. This is the capability that we have. At the same time, we're among the limited number of countries whose activities are under the control of the IAEA cameras. When we say we don't have any intention to build a bomb, we're honest and sincere. We believe that today if someone wants to build a bomb he's crazy and insane. This is for two reasons. One is that those who have bombs are in graver danger than those who don't. The bombs that exist in Germany, in Belgium and other European countries cause a great threat to all European countries. An atomic bomb is against all humans. Second, the nuclear bomb is useless and ineffective. The Zionist regime has nuclear bombs. At the same time, did it succeed in its war against the Gazans? Did its nuclear bomb give it victory in the 33 Day War against Lebanon? Allow me to ask another question - were the former Soviet Union's nuclear bombs able to save the Soviet Union from collapse? Nuclear bombs were used 60 years ago in order to provide an upper hand in political equations, but today they have no value. Thought has value, public opinion has value, human beings have value. We believe that in the future no one will ever be able to use nuclear bombs. We believe that's the end of the story." September 13, 2011 - NBC's Ann Curry, who recently interviewed Ahmadinejad in Tehran, asked the president directly, "Is Iran working on a nuclear warhead?" "This is an old and repeated story. These are the same claims made by the U.S. administration many times. They have been repeating these claims for many years. This is not a new thing for us. In principle, we are against nuclear weapons because it is against our beliefs and ideology. We do not consider nuclear weapons as a useful weapon. The period or era of nuclear weapons is over. As the period of slavery. Those nuclear weapons could not help the Soviet Union from collapse. And these nuclear weapons did not help the United States gain victory in Afghanistan or Iraq. These nuclear weapons did not help the Zionist regime either in the war against the people in Gaza as well as in Lebanon. We think those who try to build or make nuclear weapons, they are doing something absurd and useless. They only jeopardize their own situation and they waste the wealth of their own nations if they do it." "We have integrity and are sincere in what we say because we are not afraid of any power and we do not need to conceal our intentions. If we want to build a nuclear weapon, we have the courage to announce it openly. We are not afraid of others." Still, Curry pressed the issue of whether Iran is manufacturing nuclear warheads, asking, "Is the answer yes or is it no, with all due respect?" 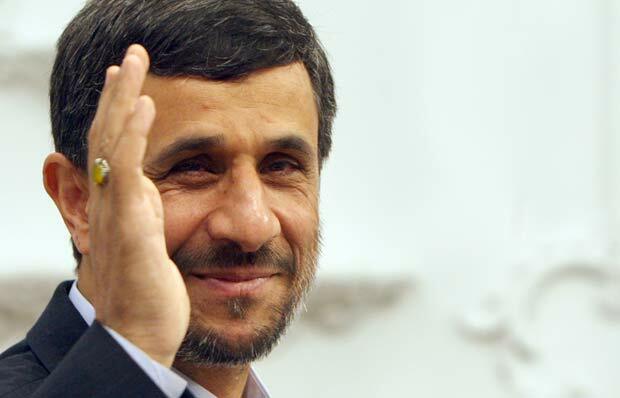 When Ahmadinejad repeated, "We do not need nuclear weapon and we do not accept nuclear weapons. We are against that," Curry said, "So you're saying the answer is no?" The president replied, "Right, that's right, certainly." In an interview with the Washington Post, also conducted in Tehran and published September 13, Ahmadinejad told Lally Weymouth, "If we want to have a nuclear weapon, we are not afraid of others; we will publicly announce it. Why should we be afraid of others? When we say we are not going to build nuclear weapons, we mean it. Because we consider it an evil thing and we do not need those items." September 23, 2011 - On his annual visit to the United Nations General Assembly in New York City, Ahmadinejad - as usual - sat down with numerous news outlets for lengthy interviews. For posterity, here is what he said about the never-ending nuclear nonsense in a few of these interviews. "Why should we seek a bomb? Do we need a bomb so we can confront thousands of American bombs? What rational person would believe that? I've said many times we don't want a bomb and we are against any nuclear bombs. But the government that has stored thousands of bombs, can it say anything against others? This is the problem. This is the wrong spirit. This kind of spirit cannot lead the world to peace. If there are any problems between the United States and Iran, it's because of this spirit held by some American politicians. They bully. And this won't solve the problem." Speaking with Edith M. Lederer of the Associated Press, Ahmadinejad "repeated the country's position that the program is for the peaceful production of energy," and said, "You all know that the nuclear issue has been turned and manipulated into a political issue." Also on September 20, as he has year after year, Ahmadinejad told Charlie Rose, "We are not seeking the weapon. We are not seeking the nuclear weapon. If we were seeking the nuclear weapons, we would have the guts to announce it publicly. Who is Ahmadinejad afraid of? Why do we need to be afraid of anyone when we keep saying repeatedly that we don't seek nuclear weapons production. You must take that at face value." THIS is why you have to join G2K! Since when did it become acceptable to just make up stuff in op-eds?